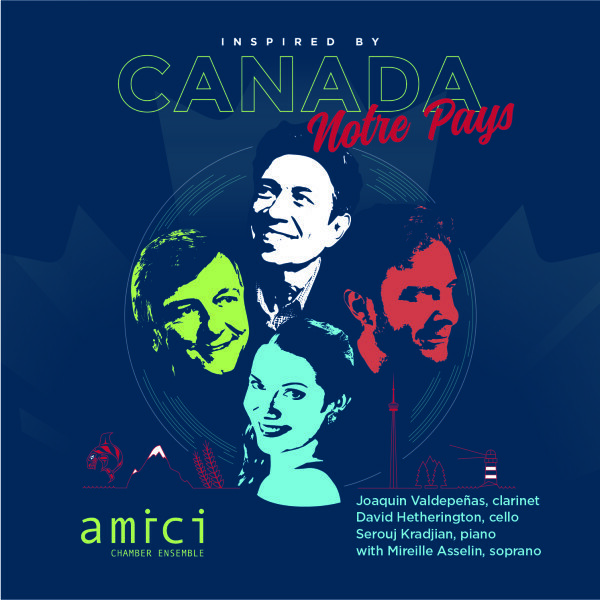 Amici Chamber Ensemble is committed performance excellence through the highest quality artistic partnerships, to education and to broadening Canada’s music library with over twenty commissions to its name. The 2017-18 Season builds on thirty years of celebrating friendship through music, innovative and eclectic programming, and outstanding musicianship. These virtues are present in each of the five concerts offered this season – leading to a truly extraordinary experience for all who attend. The cost of maintaining Toronto’s finest chamber music ensemble is high, and we depend on the help of individual donors like you to ensure that our artistic standards can be kept high. Your donation to the ensemble’s Creative Heights campaign goes directly to our artistic costs and educational outreach programs. We offer benefits for giving at all levels, as well as a tax receipt in the full amount of your donation.